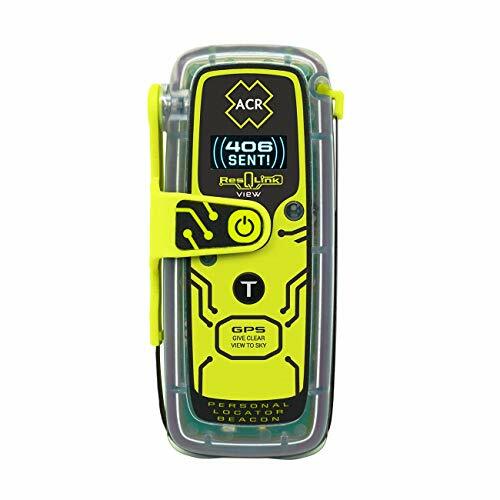 1 x ReelSonar iBobber KRAKEN Wireless Bluetooth Smart Fish Finder. 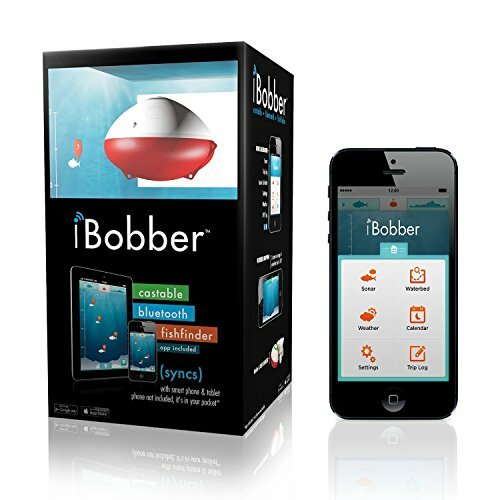 - iBobber, the smallest & lightest personal sonar depth finder on the market. 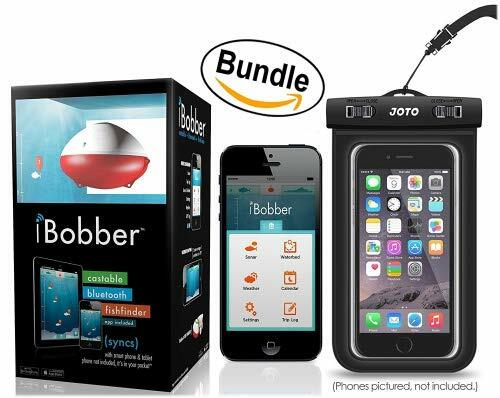 It's a castable, portable, & wireless fish finder that syncs w/ the free app on your smartphone/tablet up to 100' away. Syncs w/ iOS 6.0 - 10.0 operating systems & Android 4.3 or later that use Bluetooth Smart (4.0). 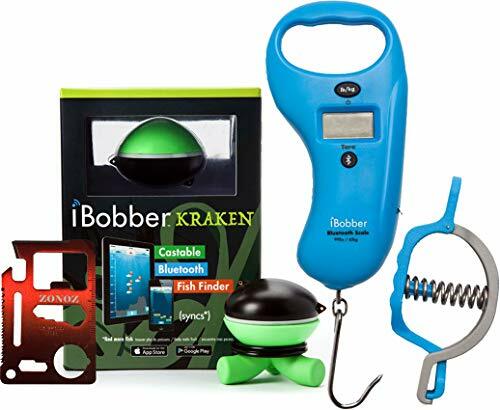 iBobber comes complete w/ USB Charger, Carrying Pouch, Product Guide. Patented sonar fish identifier technology. 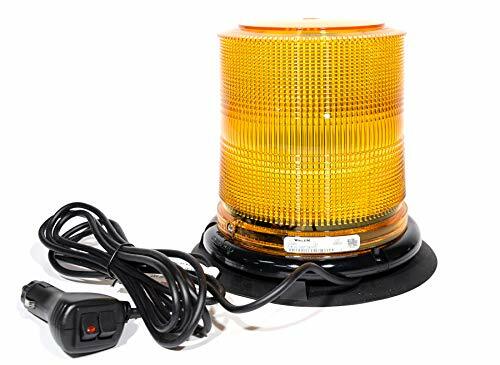 LED beacon. 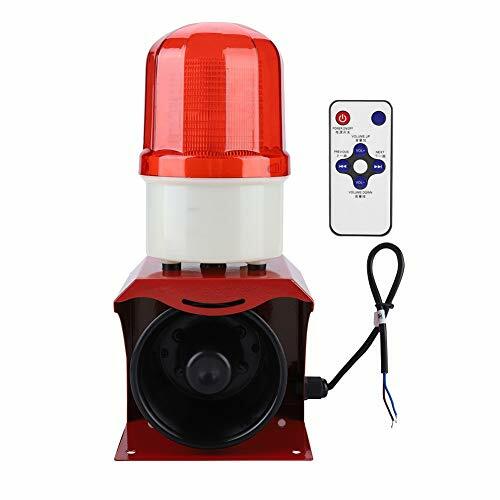 Rechargeable battery and charge status indicator light. 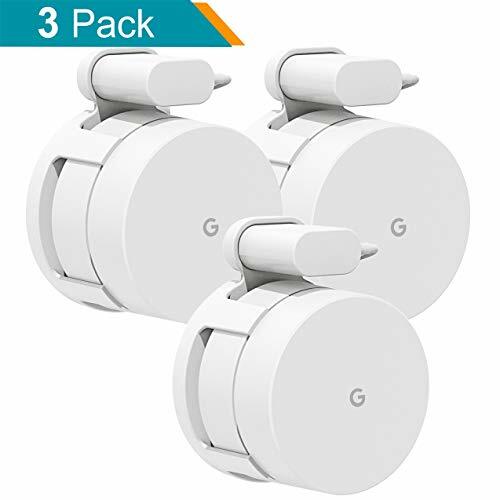 10+ hrs battery life. Flasher Mode (iOS). Accurate sonar readings from a depth of 4' down to 135'. 2 Snap swivel connections for use as bobber or as remote fish finder. Choose between raw sonar or fish tagging views. Depth-tagged fish icons color coded by size. Waterbed and structure contour mapping. 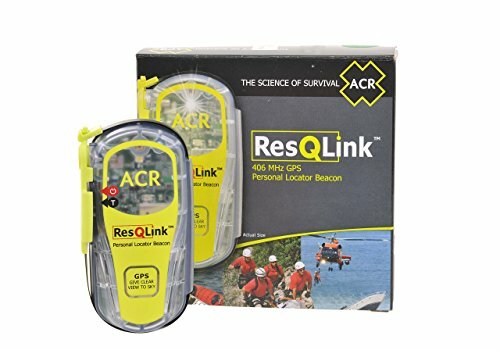 GPS spot tagging with interactive map. 1 x ReelSonar iBobber Bluetooth Scale & Tape Measure 99Lb/45kg & Fish Lip Gripper, Blue. Free ibobber app on iOS and Android. 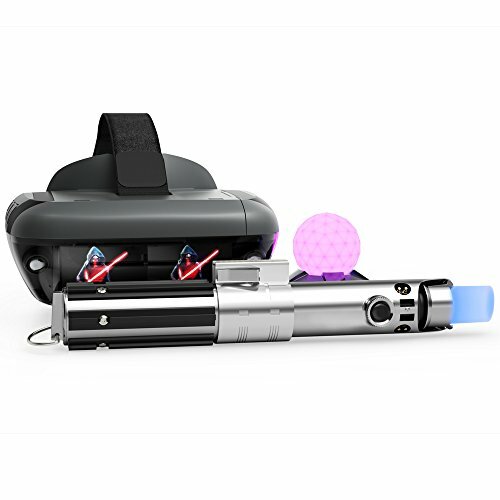 39 in built-in tape measure. Stainless steel hook. Removable fish Lip grabber. 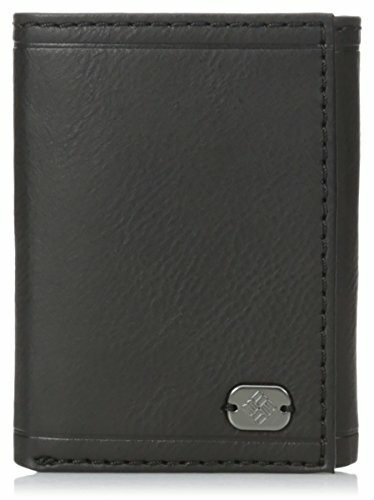 1 x Zonoz 11-In-1 Multi-Purpose Mini Portable Wallet Size Pocket Z-Tool with Black Fitted Leatherette Carrying Case - 11 Functions. Can opener / Bottle cap opener / 4-Position wrench / 2 Position wrench / Butterfly Screw Wrench / Direction Wrench / Knife Edge / Saw Blade / Screwdriver / Ruler / Key-chain Hole (for easy attachment onto your gear). Credit card-sized (easily fits inside your wallet, pocket, etc. 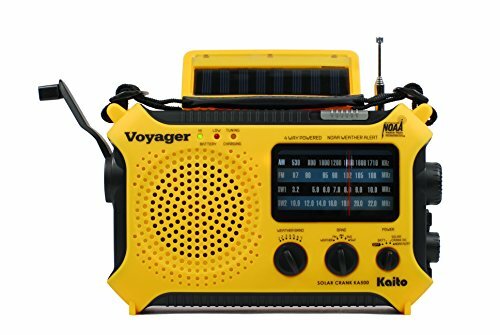 Great for camping, hunting, household utility, a very good companion to sportspeople. 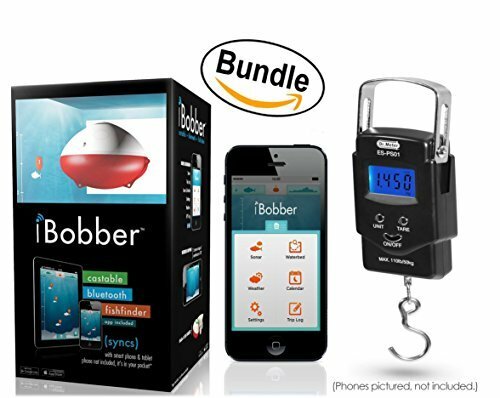 1 x iBobber CLASSIC Wireless Bluetooth Smart Fish Finder for iOS and Android devices. Patented sonar fish identifier technology - LED beacon - Rechargeable battery and charge status indicator light - 10+ hrs battery life - Accurate sonar readings down to a depth of 135' - 2 Snap swivel connections for use as bobber or as remote fish finder - Free app on iOS and Android - Bluetooth Smart sync up to a distance of 100' for best battery life on the market. iBobber is the smallest and lightest personal sonar depth finder on the market. 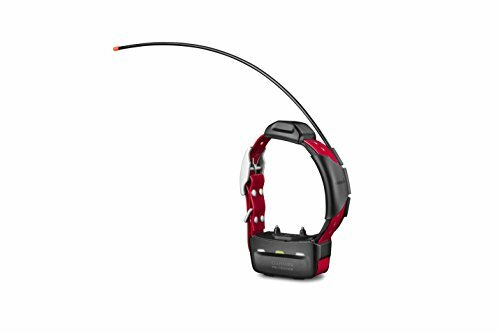 It is a castable, portable, and wireless fish finder that syncs with the free app on your smartphone or tablet up to 100' away. Syncs with iOS (Apple) 10.0 and later operating systems and Android 4.3 or later that use Bluetooth Smart (4.0). iBobber comes complete with USB Charger, Carrying Pouch, Product Guide. 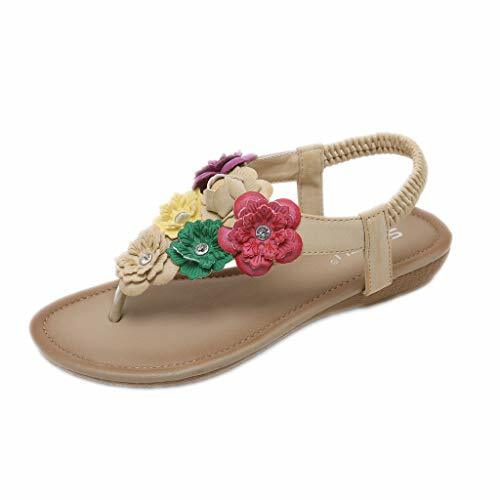 &#x1F339; About Material: Upper Material:PU; Sole Material:Rubber; Insole Material:Rubber; non-toxic, 360 degree twist not deformation, has good bending resistance and shape retention. Colorful, couple styles,fit for the whole family to wear. 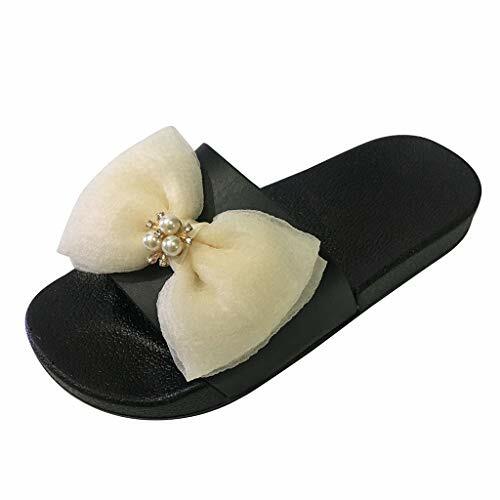 &#x1F339; About Design: The classical Mixed Colors design makes the slippers look concise and stylish. It can enable you to wear many casual occasion. 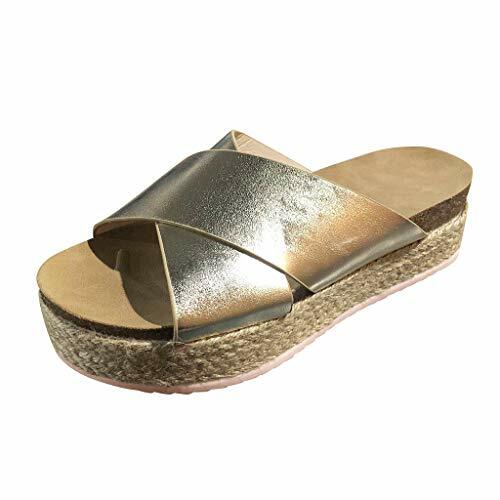 &#x1F339; About Material: Upper Material:Cotton Fabric; Sole Material:TPR; Insole Material:TPR; non-toxic, 360 degree twist not deformation, has good bending resistance and shape retention. Colorful, couple styles,fit for the whole family to wear. 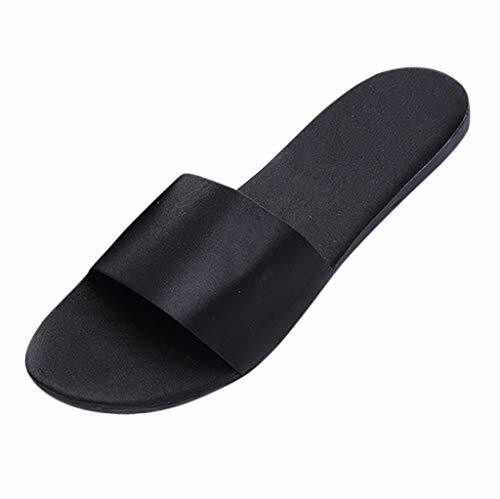 &#x1F339; About Material: Upper Material:Silk; Sole Material:TPU; Insole Material:PVC; non-toxic, 360 degree twist not deformation, has good bending resistance and shape retention. Colorful, couple styles,fit for the whole family to wear. Owl Car Cam: The Smart Dash Camera That Sends Video to Your Phone — Driving & Parked. 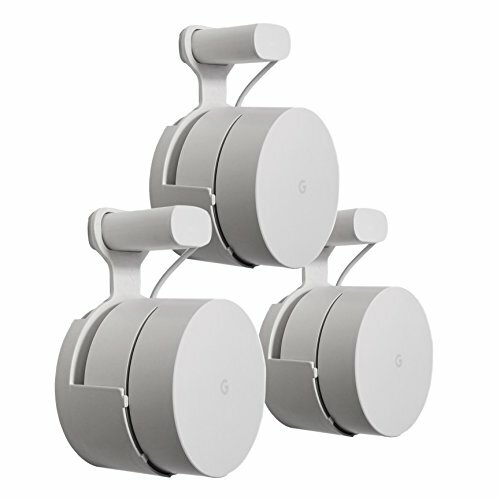 Dual HD Cameras, Video Alerts, Live View, History, 2-Way Talk, A.I. Crash Response. WHY OWL? :: The Owl Car Cam is the high-quality, easy-to-use alternative to dash cams. 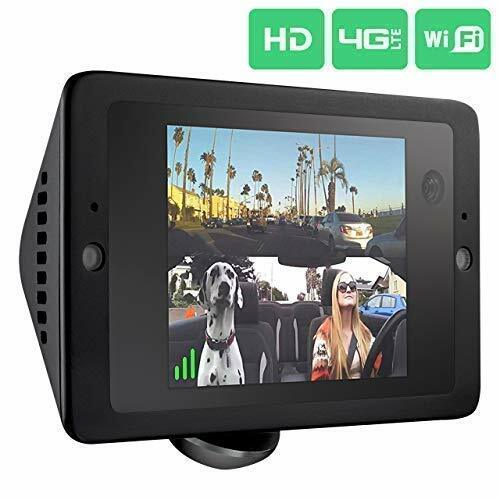 ALWAYS PROTECTED :: Owl has inside/outside-facing HD cameras (1440/720p) with amazing low-light performance + a 14-day video loop that you can access from your phone. 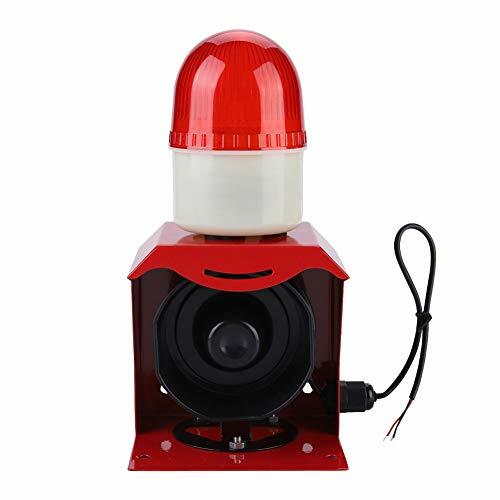 Owl has a pulsing Anti-Theft Security Beacon, automatic Flood Light deterrent, 2-Way Talk, Video Alerts, and much more. Owl uses A.I. to accurately sense events and send video to your phone. 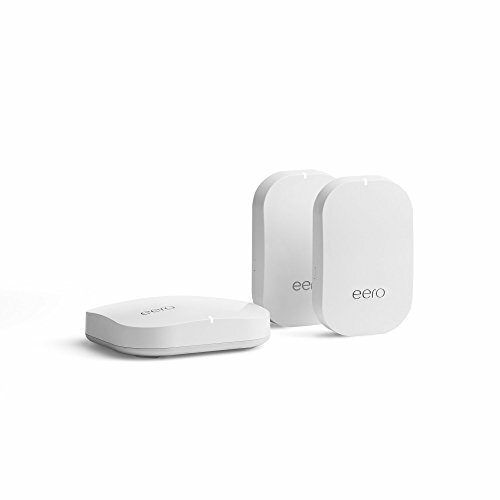 ANYWHERE, ANYTIME ::The built-in 4G LTE connection gives you 24/7 video access and protection. So, whether you're across the street or across the country, you can easily scan through your Video History, check in with Live View, or take action with Video Alerts. VIDEO WHEN YOU NEED IT :: Fight back against unfair blame in a crash with evidence-grade video that you can instantly share with insurance and authorities at the scene. Finally, catch the culprit with Video Alerts for dents and break-ins. Save, edit, and share wild and wonderful driving moments with voice control. 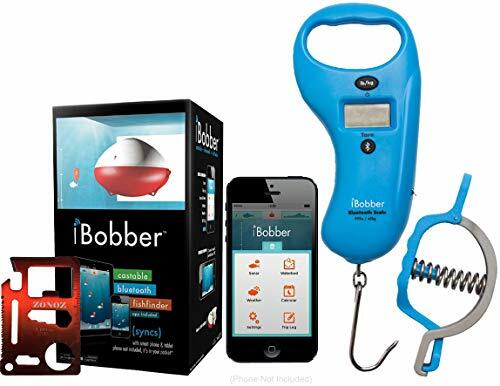 1 x iBobber Wireless Bluetooth Smart Fish Finder for iOS and Android devices. 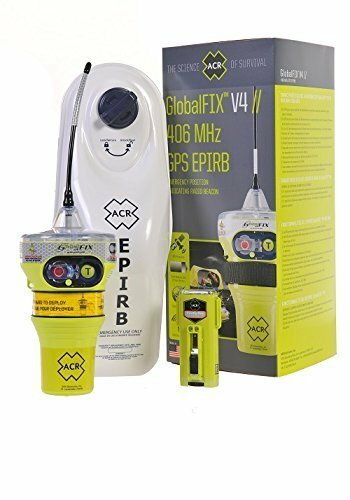 Drastically increase your probability of survival at sea with the multiple built-in redundancies of the GlobalFIX marine distress EPIRB. 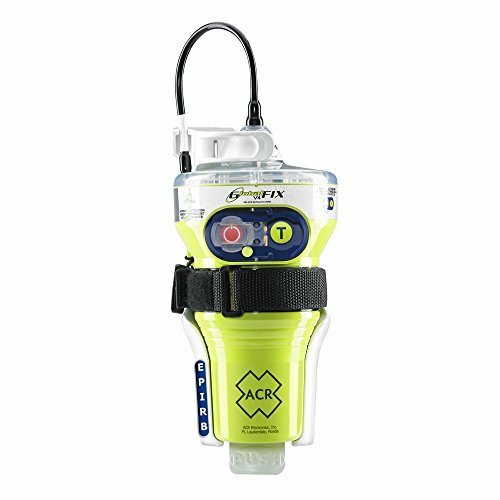 This EPIRB is pre-programmed for registration with the US country code and must be registered to a vessel with a US MMSI number. 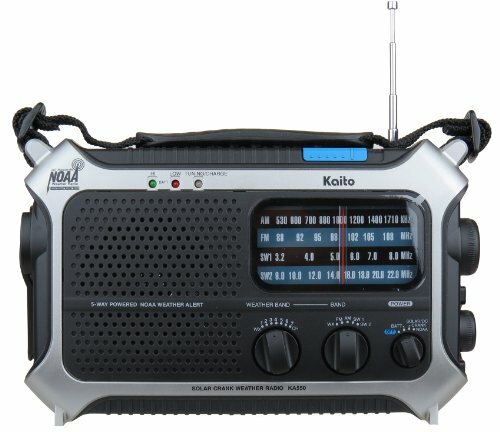 If you require registration outside of the US, please purchase our alternative listing for 'Programmed for Rest of World'. 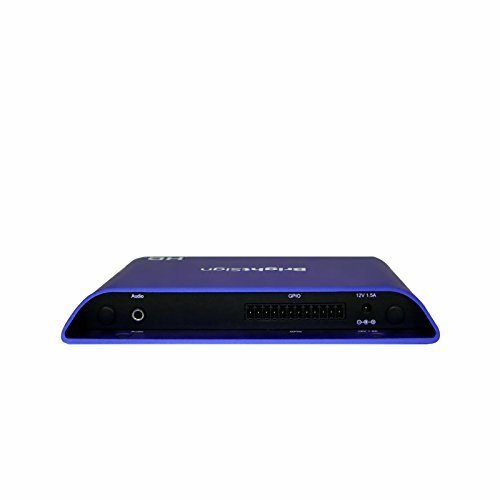 We include at no charge a reprogramming service on this alternative listing for the country of your choice. 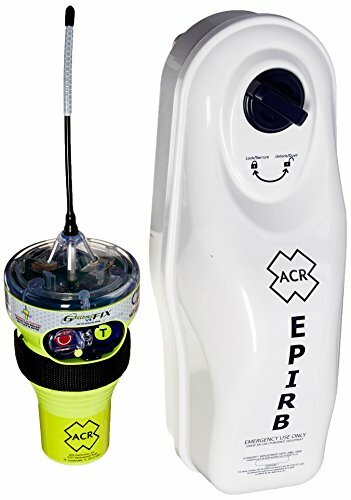 Registering your EPIRB is mandatory in most countries. 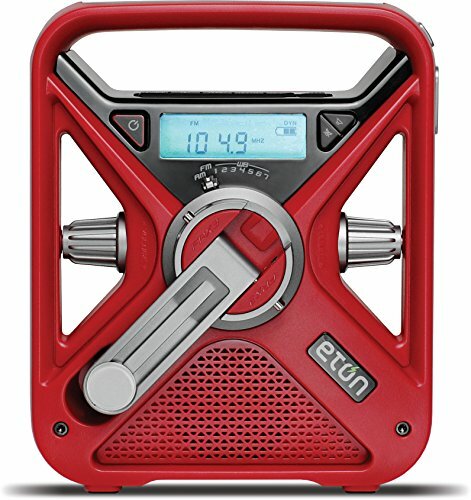 Registering is very important because should your beacon ever be activated, it is how Search and Rescue Teams will know who you are & emergency contact details. ReelSonar CGG-MY-IBOBBER iBobber Wireless Bluetooth Smart Fish Finder for iOS and Android devices. 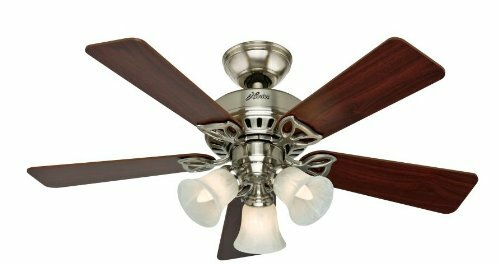 Refer to the manual below under the product description for more product use information, installation instructions and troubleshooting steps. 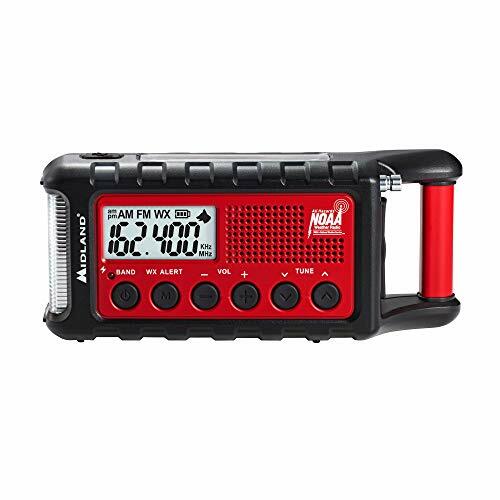 This PLB should only be used in situations of grave and imminent danger to life. False alerts endanger lives and cause expensive disruption to Search & Rescue services. Deliberate misuse of the device could result in a penalty. 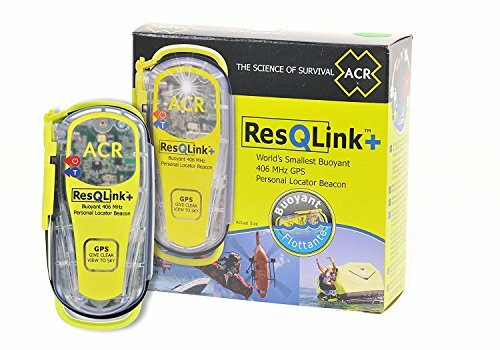 Registering your Personal Locator Beacon is required by law in most countries All Personal Locator Beacons sold are pre-programmed with the US country code. 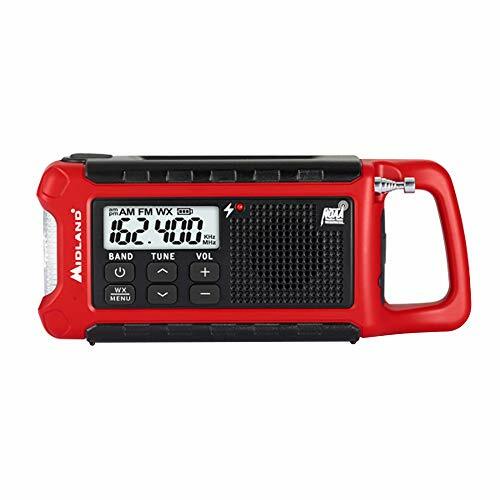 Whilst they will function anywhere around the world, the initial point of contact during an emergency would be US Search & Rescue authorities with whom the PLB would be registered. 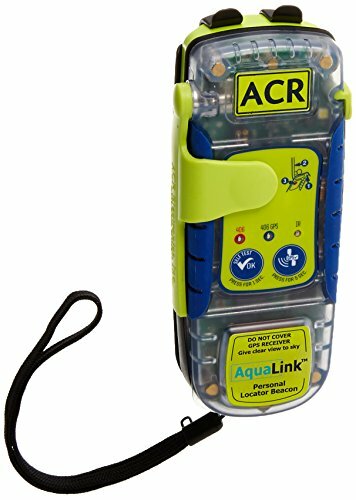 Unlike most satellite enabled notification devices, the ACR AquaLink PLB requires no monthly subscription, making it one of the most cost effective GPS enabled emergency beacons available for long term use. 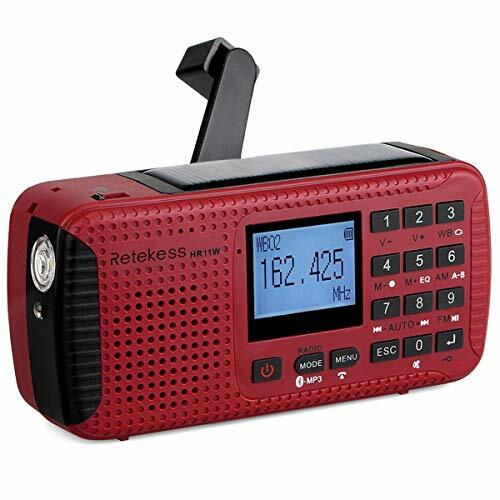 Registering is very important because should your beacon ever be activated, it is how Search and Rescue Teams will know who you are, and contacts provided may be able to supply information about your specific travel plans.